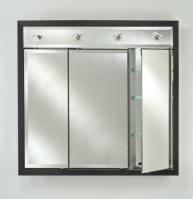 The four door design of this medicine cabinet allows easy access to the items stored within the ample interior space. 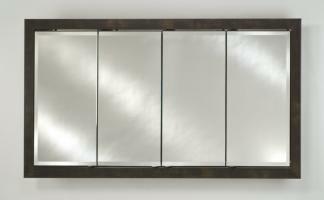 The wood frame around the piece is available in many finish color choices to best match the bathroom decor. This piece offers great functionality as well as a decorative enhancement.